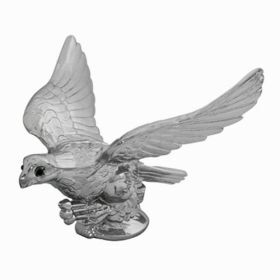 Minimum quantity for "BONNET MASCOT FLYING EAGLE 6IN X 4IN" is 1. FLYING EAGLE WITHOUT ILLUMINATED EYES. 150MM X 100MM.